Pocket Full of Posies…and Money! 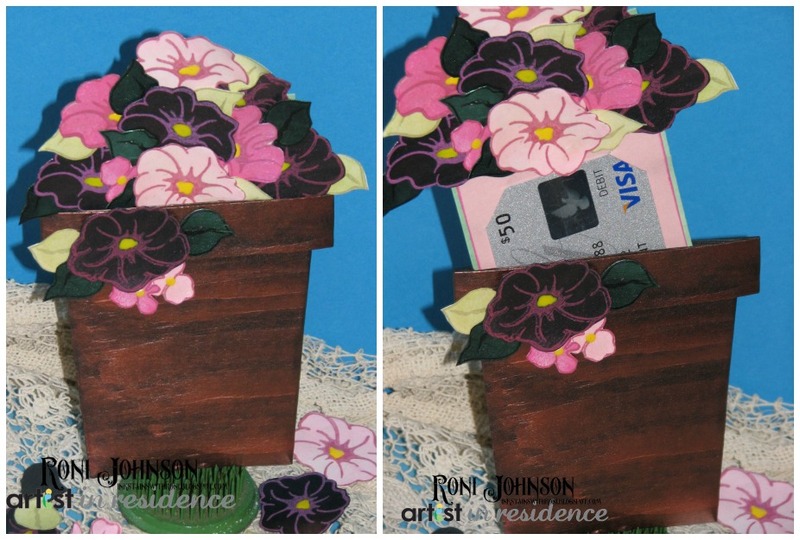 This little flower pot holds more than posies…pull up on the flowers and you’ve got a nifty little hiding spot for a gift card. I’ve included the template for the flower pot in the tutorial for easy assemblage! Share your floral gift card holder with us on Facebook or comment below! This entry was posted in Advanced, Cards, Gift, INSPIRATION, Other, PROJECTS, Roni Johnson, Tools and tagged Creative Medium, DIY, Gift Card, Memento Luxe, Palette Knives, Paper, Roni Johnson. Bookmark the permalink.